We had to update this post from 2013 because the photos were so bad. This time around we found Velvetta slices and large elbow macaroni at our grocery store. No matter how long ago we last cruised, Mickey’s Mac and Cheese is still my kids favorite. My kids don’t crave macaroni and cheese all that much, but whatever they put in the Mac and Cheese on the Disney Cruise was addictive and not only for the children in the group. One night my mom did not like her entree. She ordered a bowl of mac and cheese. Be sure to also check out the amazing upgrades on the Disney Cruise Line. Don’t worry the folks at Disney did not touch this Disney Mac and Cheese Recipe. My son gobbled it up again. We are talking about stop your heart cheesy. But OH SO good. If you are on a diet, don’t bother going on a cruise, it is a waste of money. Food is half the fun. Both my sister and I separately went on a mission to try to replicate the Mickey Mac and Cheese our children devoured on the Disney cruise. My sister made the Velveeta box recipe and I did a little more Internet searching and found one that sounded like the description from our waiters. Best to use a whisk to melt cheese etc. After making it, I have declared this a once a year treat. I just hate using processed cheese in quantities like this. The kids thought it was pretty close even though the noodles were different. If you prefer the quick method to making Mac and cheese, check out our Instant Pot Mac and Cheese Recipe. I bet you can convert this to an Instant pot recipe. 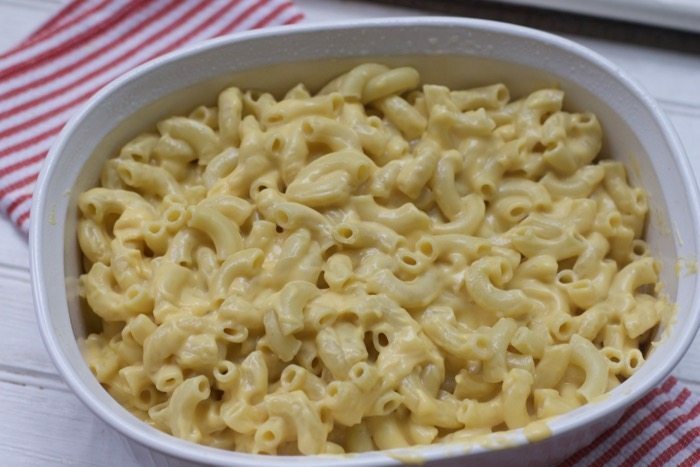 So if you want to treat your kids and adults to a decadent mac and cheese for Valentine’s Day, they will surely love you more after you put this on the table! On the Disney Cruise, they use the longer Elbow Macoroni which is not found in all grocery stores. Once all blended I used a spatula to get it off the sides etc. 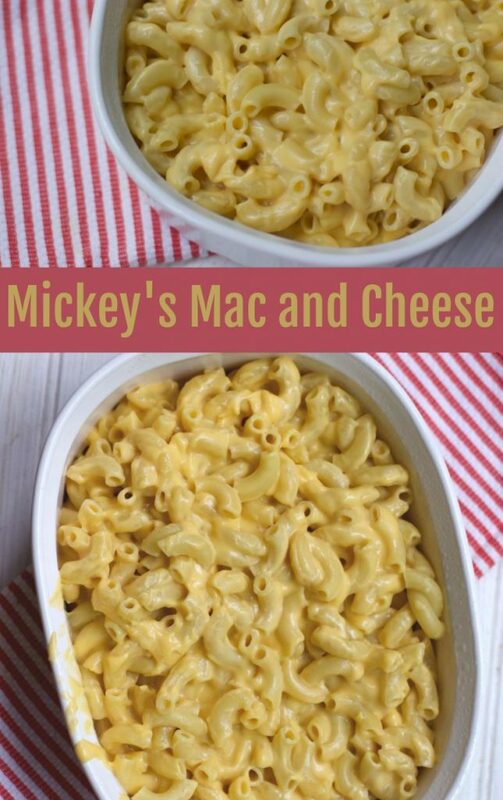 Check out this recipe if you want to add protein like chicken your Mickey’s Mac Cheese Recipe. or add Shrimp to your Mac Cheese. Time to book another Disney Cruise and get the real stuff!! 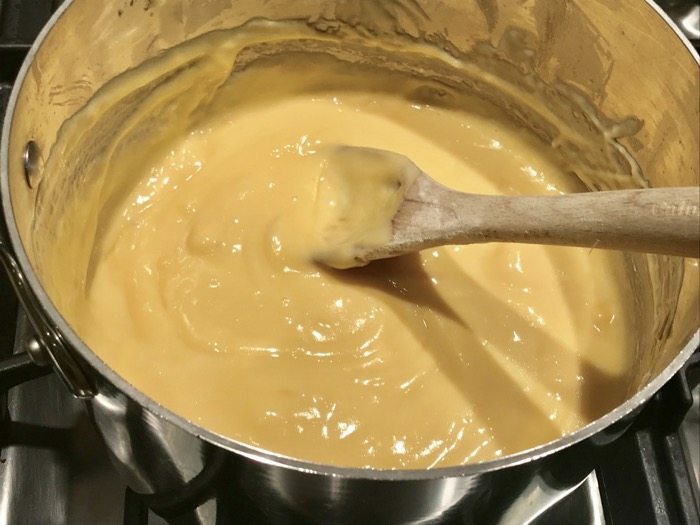 In a large saucepan, melt butter on medium. Add flour and cook 5 minutes, stirring constantly until it forms a roux. 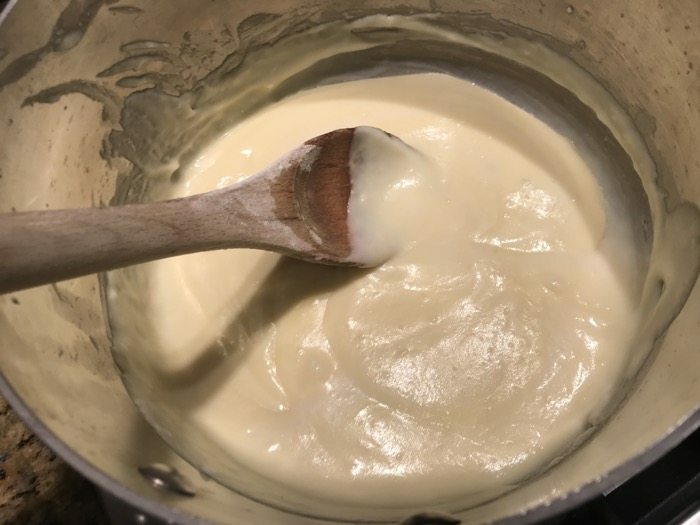 Heat milk in microwave just until hot then slowly whisk it into the roux. Simmer 10 minutes until thickened, stirring constantly. Add sliced cheese and yellow mustard. 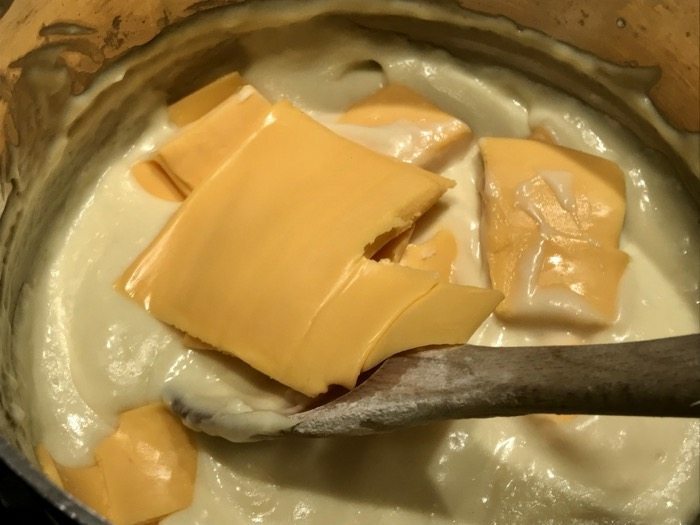 Blend well until cheese has melted. Do not boil. Season with salt and pepper. Disney makes the best Mac and Cheese Recipe I would love to know how you think this compares to the recipe on the cruise ship. Oh man, artery-clogging goodness! 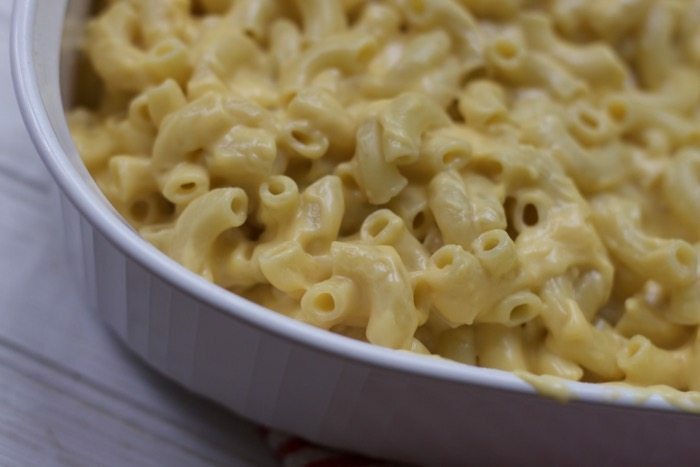 Our family LOVES mac and cheese…will definitely be making this one! That looks so yummy! I am now craving Mac and Cheese!! TY for sharing the recipe! Oooh! Exciting to have the secret recipe. 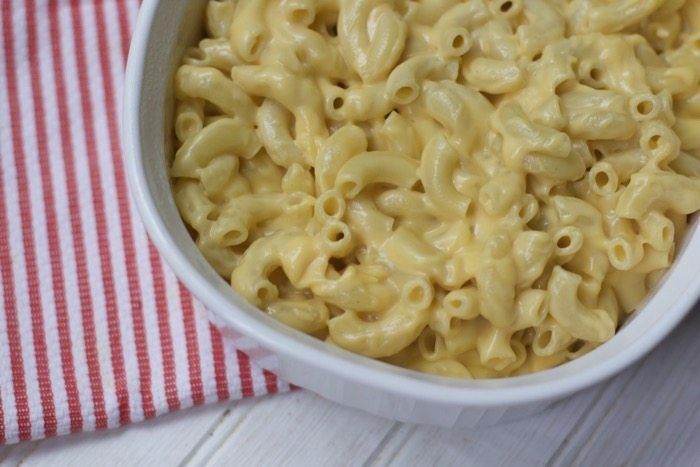 Thanks for sharing – my boys LOVE Mac and Cheese so I cant wait to surprise them with this! My hubby is an insane Mac and Cheese fanatic so I’m always checking out new and different recipes. He loves the Twisted Mac and Cheese at the Hard Rock so I’ve tried replicating that one…can’t wait to try yours! I have a goal to go to Disney too! And the cruises sound great from everyone who has gone. My kids would love this, but yes don’t use processed cheese around here either usually so this will be a rare thing too! 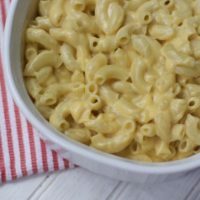 I love a good Mac N Cheese – gonna try this and see if my boys like it! What a great recipe, it looks fantastic! We are going to Disney this summer but not the cruise. I’d love to though! this looks so good and cheesy! thanks for the recipe. Yummy! I love homemade mac n cheese. I pinned this one to my kid friendly recipes board. My son loves mac n cheese, but I won’t make it for him often. I might have to try this next time I’m making him his special dinner! I am not a big fan of Mac and Cheese but my family is and I will have to try this out for them. Thanks! I’ve never been on a cruise, but I could definitely visit Disney World just for the food. Yum. My kids won’t eat mac and cheese, but hubby and I love it. I’ll try this sometime! Going on a Disney Cruise is a life goal of mine! I love Disney. What noodles did they use on board the ship? Just regular Macaroni, or was it mickey’s?